Leaning on a Lamp-post | Where's my backpack? Merrion Square is a delicious little park right in the heart of Dublin that manages to slip under the radar of most visitors to the city. Similar to the nearby and more well-known St. Stephen’s Green, it is a Georgian square that once jealously guarded its gates, only allowing access to the residents of the grand houses surrounding the square. In 1930 it was purchased by the Roman Catholic Church as a site to build a cathedral, but the project never came to fruition and in 1974 the church transferred the land to Dublin Corporation for use as a public park. While I am sure the planned cathedral would have looked very grand indeed, I couldn’t imagine Dublin without this gem of a park. 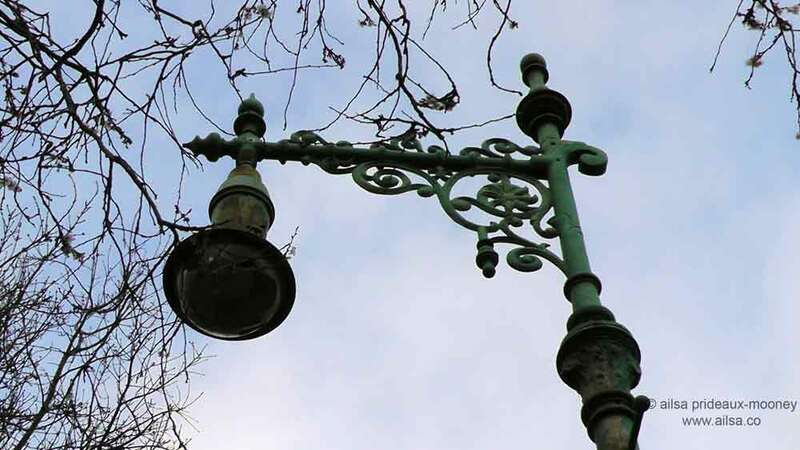 …but a wander through Merrion Square transports you to the streets of Dublin’s past. 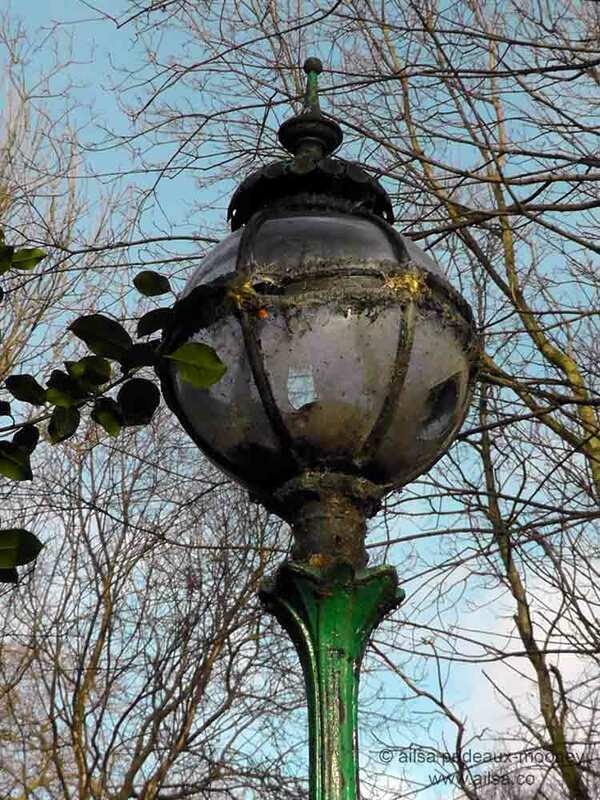 Here are a few of the old Dublin lamp-posts that caught my eye last time I wandered through the park, all beautiful in their own way, perfectly imperfect with their clouded glass and broken bulbs. This entry was posted in Europe, Ireland, Photography, Travel and tagged history, inspiration, photography, photos, pictures, postaday, travel, writing. Bookmark the permalink. 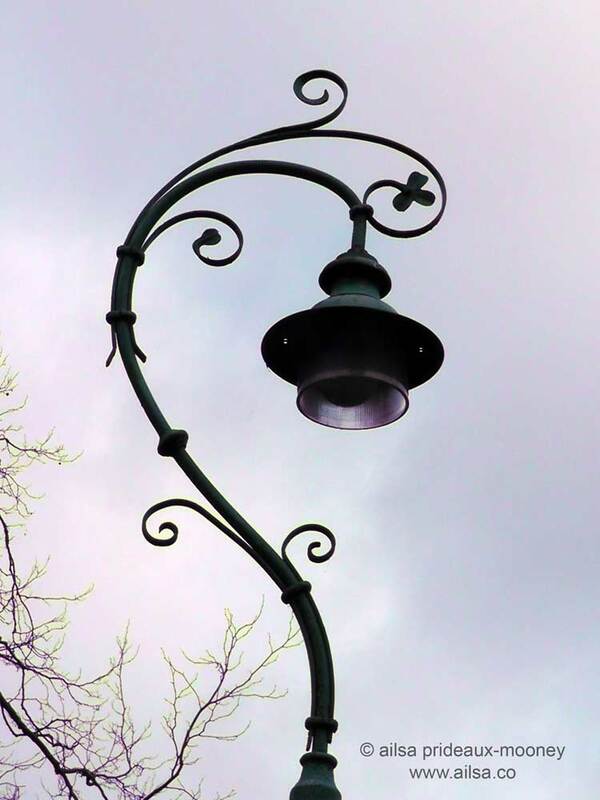 I love the lamp posts in Dublin also. You have inspired me to look more carefully at the lampposts here in NYC. Very pretty! I love this kind of lamps. Absolutely! The older the better…. What a wonderful place to visit. I love spaces like these, missed by the masses but loved by the few. Your photos bring out the best of the history you speak of. Thanks for sharing. 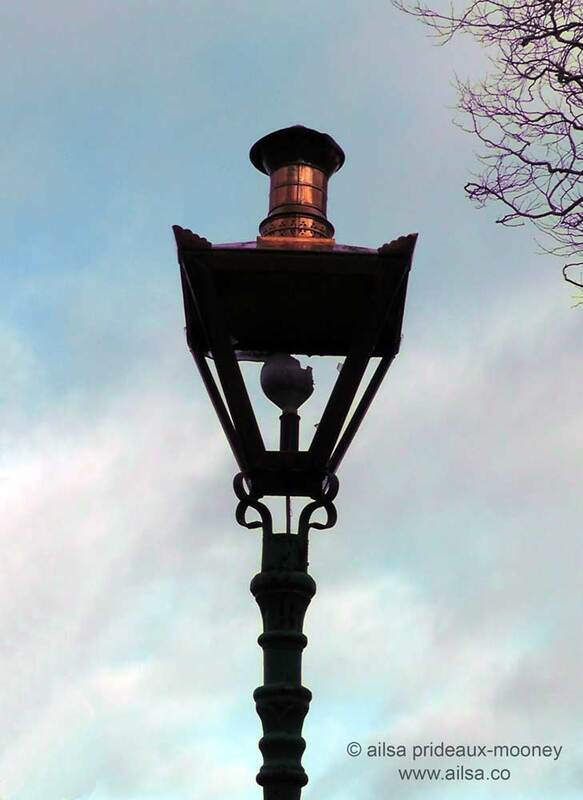 I love lamp posts. They show a lot about a city. These are great. 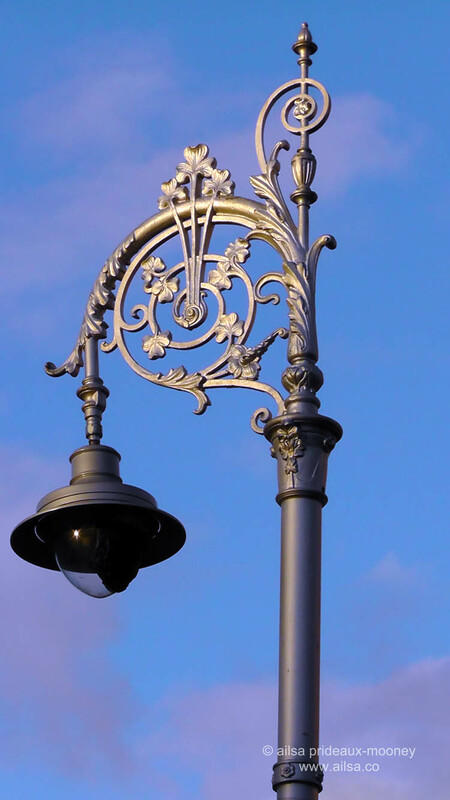 Lovely lamp posts! I was born in the Rotunda and came home to live for the first few years of my life in a small flat on Merrion Square. I have fleeting memories of playing in the park. And later would walking through it on our way to the wonderful old Natural History Museum. Thanks for the memories! I love Ireland. I have been three times and will be back this summer. Thank you for pointing out something beautiful and interesting that I had not thought to pay attention to. I’m a sucker for cool lamp posts too. I’ll be keeping my eyes peeled on our very flying visit to Dublin this summer. On that note, what would you recommend to a traveller who has one full day in Dublin?